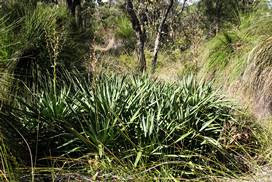 Shenton Bushland Activities: Christmas (spiders) just around the corner! When walking through some areas of the bushland the Jewel (or Christmas) Spiders (Astracantha minax)seemed to be out in force. 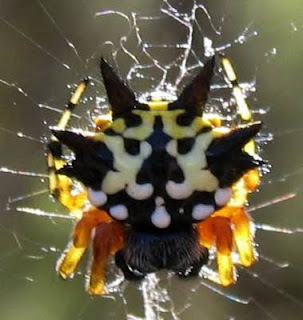 These spiders appear to rely on their bright colours and hard spiny bodies to enable them to remain active in their webs all day. This clump of Agave has been here for many years and isn't spreading fast. It would take a bob-cat and lots of disturbance to get rid of it, so we just keep a watch on it. I spent most of this morning weeding Watsonia remnants and veldgrass (perennial).I will need to come back next Sunday because there is still quite a bit in the Watsonia patch area.